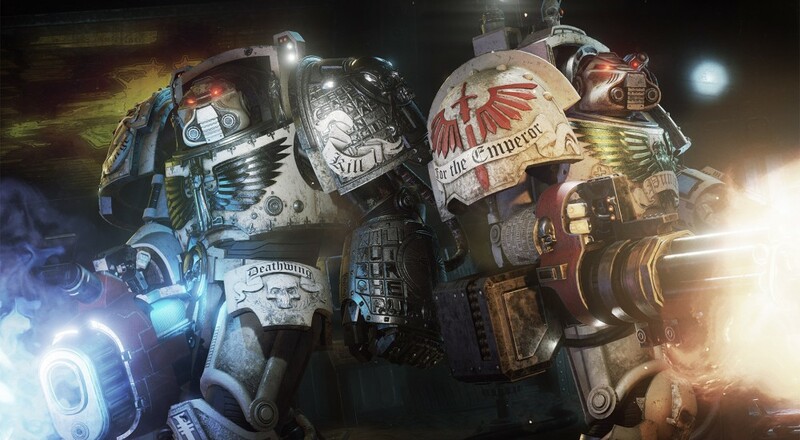 One of my most anticipated titles coming this fall is Space Hulk: Deathwing. I love the Warhammer 40k IP and I'll gladly take any chance I can get to dive into that universe. The game is slated for a November release so with just a couple months left until that day, developer Streum On Studio has unveiled the four Terminator classes players will be able to select in co-op mode. First up is the Librarian, the psyker (or mage) of the Space Marines, who wields a Storm Bolter and deadly psychic powers. Supporting the Librarian is the Apothecary, a specialist who possesses biomedical and scientific training in order to tend to the squad's wounds. Of course you'll need some firepower to back them up, so there's a heavy weapon support and tactician specialist as well. The heavy weapon support wields an assault cannon to take out the Genestealer threat, and the tactician is able to provide passive buffs to the whole squad in order to boost their abilities. Each class will gain new skills and abilities as you earn experience during missions, allowing you to further customize your preferred Terminator. Space Hulk: Deathwing will support four players online throughout the campaign. The title has no set release date, but it is available for pre-order now on PC via Steam at a discounted rate of $33.99. Page created in 0.3780 seconds.